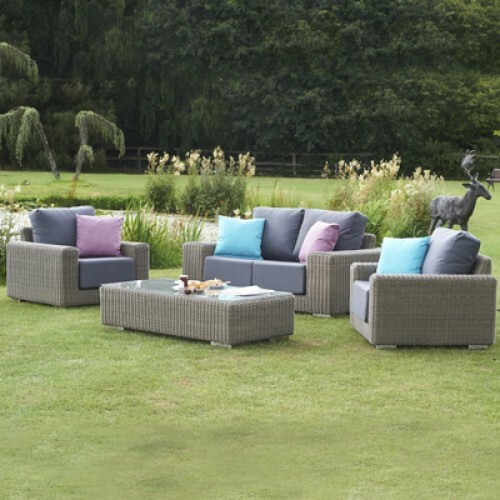 An excellent little set for the garden or conservatory, this lovely all weather furniture from our exclusive All Seasons range is the perfect way to spend time relaxing in style and comfort. 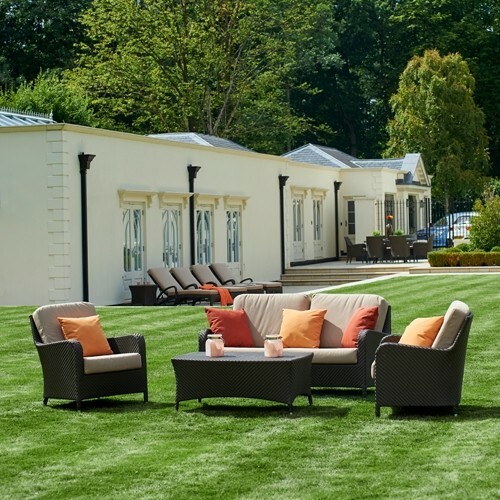 The luxurious deep seating and the soft scatter cushions make the sofa a lovely place to while away time. 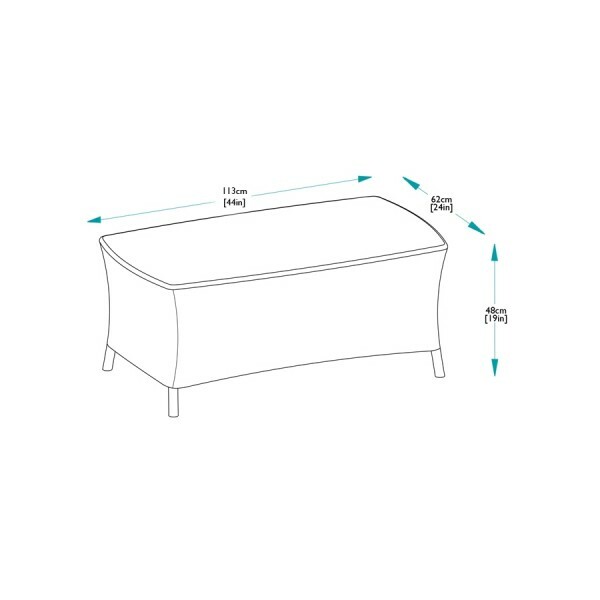 Made to the highest standards using the best quality materials, this furniture is really durable and benefits from Bridgman's 10 Year Guarantee. 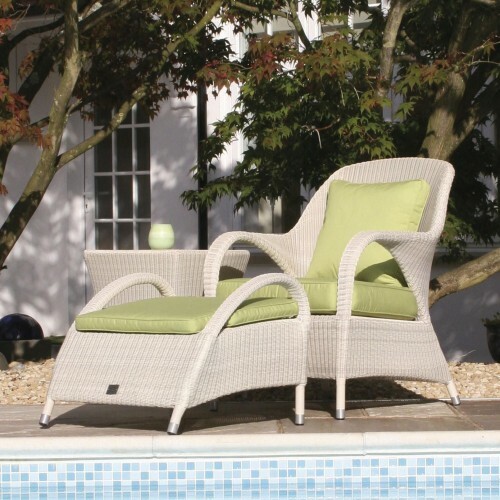 The soft white round rattan wicker is totally weatherproof and has been hand woven onto aluminium frames with great skill and patience to create beautiful pieces of furniture. The set consists of a Sussex Sofa and a Sussex Coffee Table. 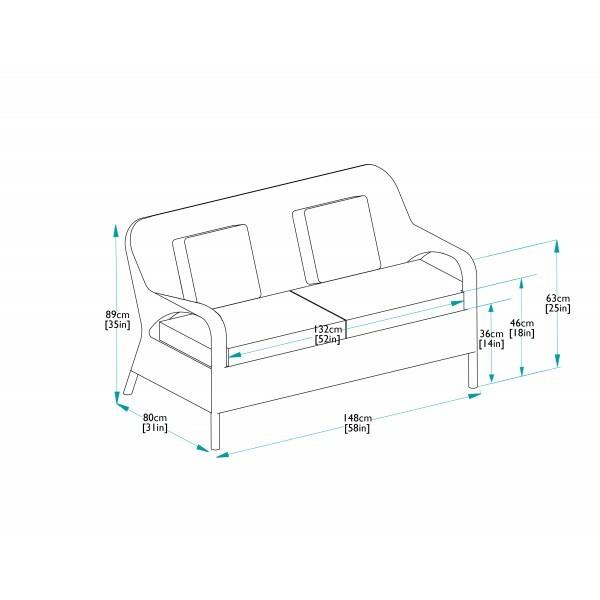 The Sofa comes complete with standard cushions in a choice of Black or Lime Green. Alternatively upgrade to fully waterproof pistachio cushions that can remain outside in wet weather. 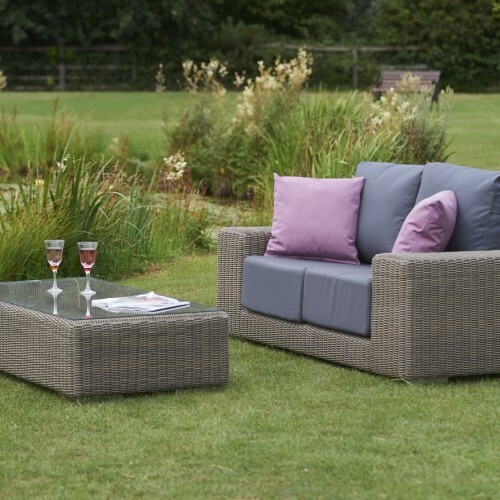 All cushions combine beautifully with the soft tones of the soft white rattan material. The style and comfort of this furniture really is hard to surpass, and it is offered at a very advantageous price only from Bridgman. 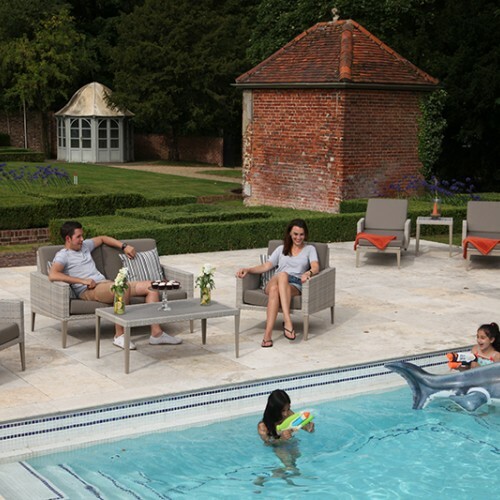 The furniture can be used anywhere around the garden and is equally suitable for indoor use. The furniture does not fade or deteriorate and can remain outside all year round. Standard cushions should be brought in during wet weather. 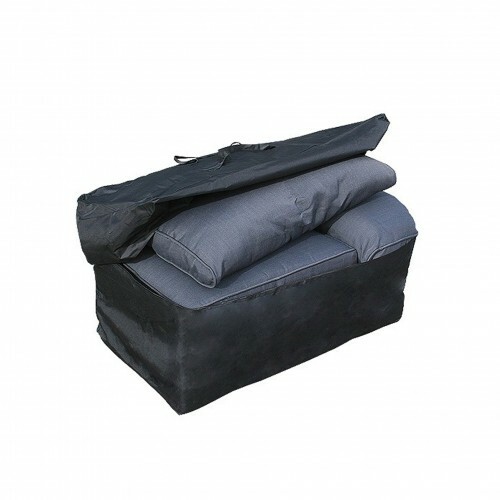 A cushion storage bag can be purchased separately if required.